Since the “flash crisis” (starting from the summer of 2013) a lot of game developers have collided with an issue of being crammed with outdated flash games with copyrights sold to various sponsors and game portals. For the majority of the developers porting their old games to the new platforms could be an ideal option. That is why I decided to write an article on how they could re-monetize old games with no great effort. I suggest using HTML5 as this particular game platform allows making the porting without huge investments. What games are suitable for the porting to the HTML5? How to make the porting qualitatively? How to sell the renewed game wisely? Firstly a few words, why I suggest using HTML5 for porting flash games: HTML5 is a widely known technology that has such syntactic features as , and elements, as well as the integration of scalable vector graphics (SVG) content (replacing generic tags), and MathML for mathematical formulas. These features allow to make it easy to include and handle multimedia and graphical content on the web without having to resort to proprietary plugins and APIs. 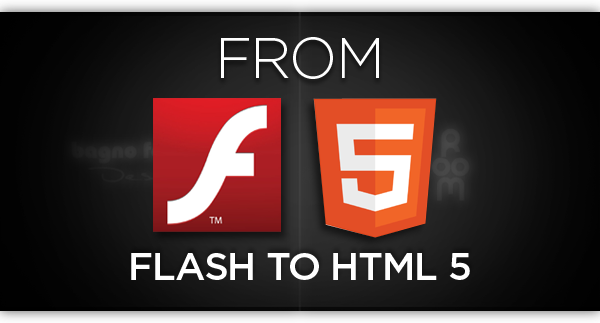 Below I would like to point out the main benefits and some shortcomings of using HTML5 for porting a flash game. Lack of the common standard for the browsers and devices (bug-fix could be quite time-consuming). What games are suitable for being ported to HTML5? While porting your game under mobile HTML5 the attention should be paid to the control. If the control is managed through the keyboard it means that apparently you will have to port the control as well in order to gain the desired game experience. It is possible to develop tab sensor, still it is not often useful because the player’s fingers hedge the majority of the display what leads to the gameplay/ levels reconstruction or even to rejecting the idea of porting the game. 3D games are not suitable for porting under the mobile web (WebGL technology is not supported by the majority of the mobile browsers). The porting process is greatly depends on the HTML5 app building approach. Art is almost the only thing that we would take from the old game, as the code will be written from a scratch. Porting of the graphics is a complex procedure. Its complexity depends on the initial game format. In the end we should get the raster version of every element of the game starting from the background up to effect animation. This is the most significant and time-consuming process. It could take from 2 weeks to а couple of months depending on the particular game. Normally a game is developed with using a framework. The choice of the frame is not a simple question and deserves a separate article. Worth mentioning that to make the testing of the mobile- web app as effective as possible you should use a number of mobile devices, at least the most popular. Otherwise it is possible to refer to the company that provides QA and testing services. When the testing is finished the question regarding the distribution arises as well as regarding licensing and it’s specific. Despite the fact that lately the positive tendency of the HTML5 games is observed, for many developers the monetizing issue is on the agenda. Still in case of applying the wise business model your HTML5 game could become quite beneficial. How to monetize your game? Basically the portal SpilGames bought the exclusive licenses and was a price leader for the developers. Still, recently a number of changes have been noticed in the company and it is quite unclear yet whether they will continue purchasing the content. In other cases, in order to sale an exclusive license you will have to make a good scouting. It is one of the most prevalent ways to monetize the game. In average you could get the profit of about 200-600 USD per game. Just find active customers. Actually there are plenty of portals. First of all this is in interest to the flash games portals owners to keep the constant user base. Generally the users get their mobile devices and returning to the favorite flash game portals and are not able to launch any flash game. The owner of the portal whether loses this user or suggests the alternative- a game that could be launched on the mobile device browser. Another variant is to sell the unexclusive license through auction-portals like FGL. In this case you give your game to be placed in a portal or a portal network and get a part of the revenue form the commercials that were shown in the game. The revenue is mostly depends on the customer, still do not expect huge profit. When it is about a good traffic and the customer is convinced in the profitability of the game, he usually will buy the site-locks. The developer integrates the commercials right in the game and gives it free on the partner-site. The revenue is counted on the basis of the commercials shown directly in the game. Thought in comparison with the flash market prime-time, nowadays there are no automated channels of distribution in HTM5 game dev. So it is manual work so far. It is also worth mentioning that the Google AdWords (the most effective advertisement) will not suit for distribution of such game as Google requires direct linking to the domains where the game will be shown. Obfuscate you HTML 5 games in order to secure them from piracy. Sure, it won’t provide a perfect security, still will become an obstacle to steal the game and will filter out a number of pirates. While selling the site-locks assure that the name of the portal as well as its mirrors are stated in the contract. Using the revenue share scheme request the access to the statistics. Hope this tips would be useful. Also if you have any suggestions and better solutions, feel free to share in the comments! How do you site-lock in html5? ?